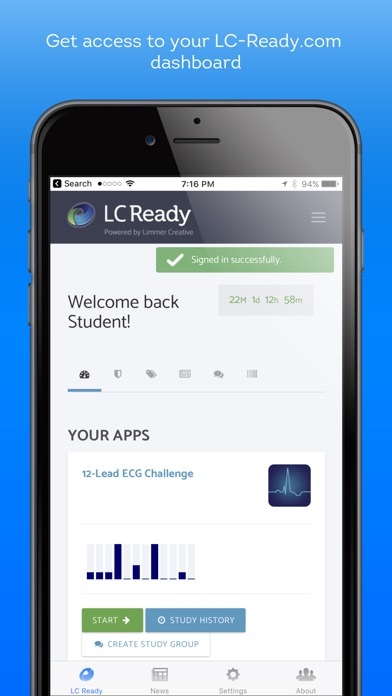 This app is designed to give existing LC-Ready users access to their programs via this fully functional app. 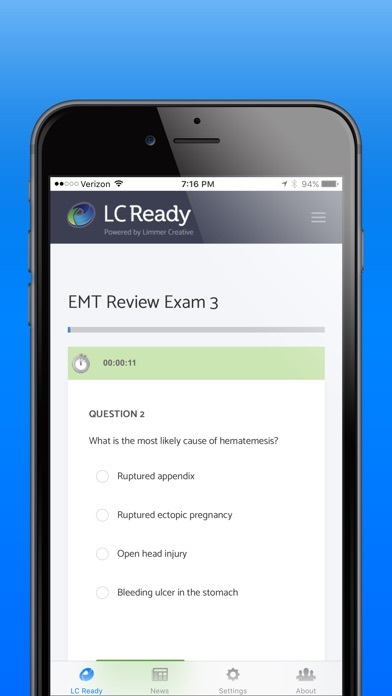 You will be able to use study cards, practice with review questions, take practice examinations, and see our industry-leading detailed rationale answers all within the LC-Ready app. The app also provides full access to our unique study wall feature which gives students the ability to communicate and study together on the fly. User’s progress history and mastered items are carried seamlessly between this app and other devices used for study. If you take a practice exam on your phone, you will also see the results on your computer. 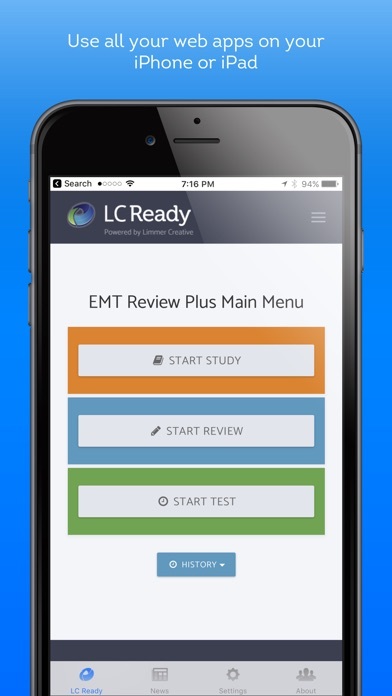 As a special feature available only on the LC-Ready app, users can view a custom news feed from EMS internet leader EMS1.com targeted specially for EMS students and practitioners. 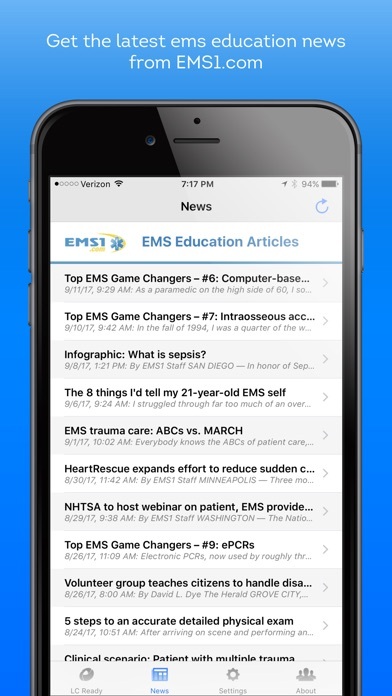 Keeping up with the latest news and trends is a vital part of an EMS provider’s responsibility. 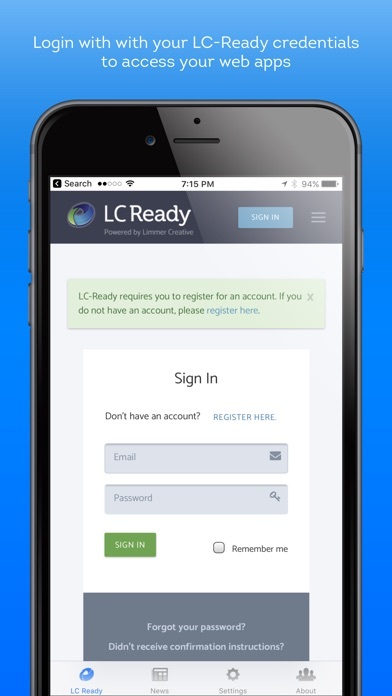 The LC-Ready app makes it that much easier. NOTE: This app provides functionality only to users of Limmer Creative’s LC-Ready programs. Users of apps purchased on the iTunes store will continue to access their programs through those individual apps. The content is really good, however the app is simply just a website. It is barely optimized for a mobile device, causing you to have to constantly scroll after every question. Definitely helped both my best friend and myself pass the NREMT on our first try! Totally worth the money.